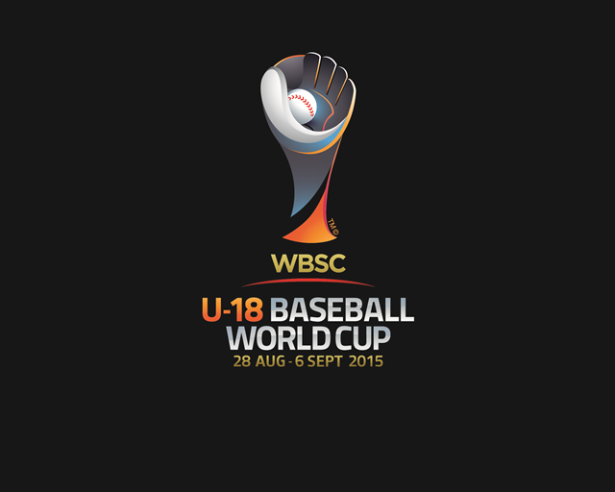 LAUSANNE, Switzerland – The official tournament schedule and a new visual identity for the 2015 WBSC U-18 Baseball World Cup™ were revealed today by the world governing body. The WBSC U-18 Baseball World Cup will unite the best young players (aged 16-18) in their respective nations for 50 games from 28 August to 6 September in Osaka, Japan. Built in 1924, historic Koshien Stadium – the 47,000-seat home of Nippon Professional Baseball’s Hanshin Tigers – will be the legendary backdrop for seven games, including the final four that will decide the 2015 WBSC U-18 Baseball World Cup. The United States U-18 National Team will be entering as the two-time (2012 and 2013) defending U-18 world champions. The Japan High School Federation -- the organisers of Japan’s biggest and most famed youth sports event, the “Koshien” high school baseball championship – are the 2015 WBSC U-18 Baseball World Cup hosts, in collaboration with the Baseball Federation of Japan. A new emblem was unveiled for the WBSC U-18 Baseball World Cup, which is the first to be rolled out under a new Baseball World Cup umbrella brand. The new visual identity of the WBSC U-18 Baseball World Cup was designed by The Works Ltd.-- the same mega-events branding experts who are rolling out the look of the newest international baseball flagship, WBSC Premier12™, and who rolled out the look of the 2014 FIFA World Cup™. Announcements will soon be made on the 2015 broadcast coverage of the 2015 WBSC U-18 Baseball World Cup. The 2013 WBSC U-18 Baseball World Cup had a potential global broadcast reach of 144 million homes and potential online/mobile reach of 20 million. Helping to attract global viewership, the WBSC U-18 Baseball World Cup, along with its continental qualifiers, have featured some of the biggest names in the sport, such as Canada's Brett Lawrie, Japan's Yu Darvish, South Korea's Shin-soo Choo, Cuba's Yasiel Puig and Aroldis Chapman, and USA's Clayton Kershaw, Bryce Harper, Manny Machado, Buster Posey, Andrew McCutchen, among countless others. The most recent generation of rising stars include Cuba's Yoan Moncada, Jorge Soler, USA's Francisco Lindor, Canada's Dalton Pompey and Japan's Shohei Ohtani and Shintaro Fujinami. Finals will be played on Sunday, September 6 at Koshien from 13:00 for 3rd and 4th places and from 18:00 for 1st and 2nd places.